Are you visiting a foreign city and are annoyed by always searching for a good restaurant? Then maybe the Misk app is something for you! Ever picked a restaurant using Yelp and didn’t get what you were expecting? Yelp can be troublesome due to the fact that there are millions of people with various food tastes. Wouldn’t it be easier if your friends and family could give you suggestions rather than total strangers from the internet? The startup Misk, from Lisbon, does exactly this! You and your friends and family are able to share and recommend places to eat all around the globe easily using the Misk APP. While some portals, such as Yelp, rely on a database of many reviews, Misk takes the opposite route. With Instagram or Twitter, users of the app can follow their friends and other influencers on the platform. Afterwards, users get recommended to the restaurants that their friends highly valued. 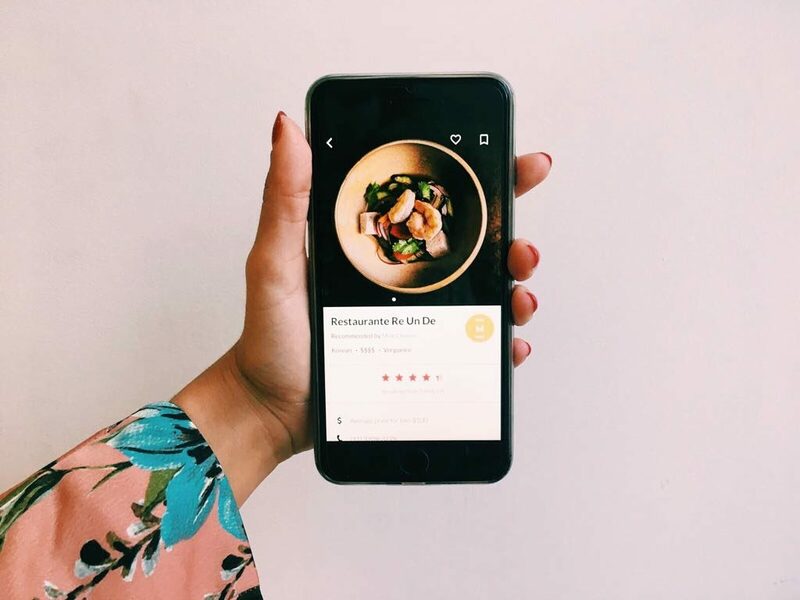 On platforms like Yelp, robots and reviews can sometimes be purchased to falsify the results, whereas Misk users only get selected and personalized recommendations. Misk allows you to find recommendations from anywhere by searching any city and most importantly, from people you trust. Additionally, users can organise collections and compile lists of restaurants, cafés and bars for any city in the world. With the app you can shake your phone to be surprised and get a spot-on recommendation nearby based on what you like, what your friends recommend and the best time of the day to go. Lastly, users can get inspired from browsing through places that just opened, were or other places based on their preferences. The Misk team is made of ex employees from Google, Bloomberg and Intel who share the passion of story telling and sharing with those they love. They founders were always asking their friends for recommendation and truly trusted them, whether it was a first date or a birthday party. After all, they decided to move their word-of-mouth online and came up with the idea of Misk. Fore more details, check out their website or Facebook. How should corporations attract millenials and how should they solve new issues? CoDesign factory built a team of experts from various backgrounds to help SMEs and corporations with modernization. This week we invited 3 startup representatives to pitch on our show: Luca Bovone, founder & CEO of PROJECTS, Stefan Kellner, CEO of Qixxit, and Florian Braeunig, founder & CEO of Yair, all told us about their products and the problems that they are solving. Civey is a German polling institute using an automated statistical algorithm that turns public opinions into actionable insights.